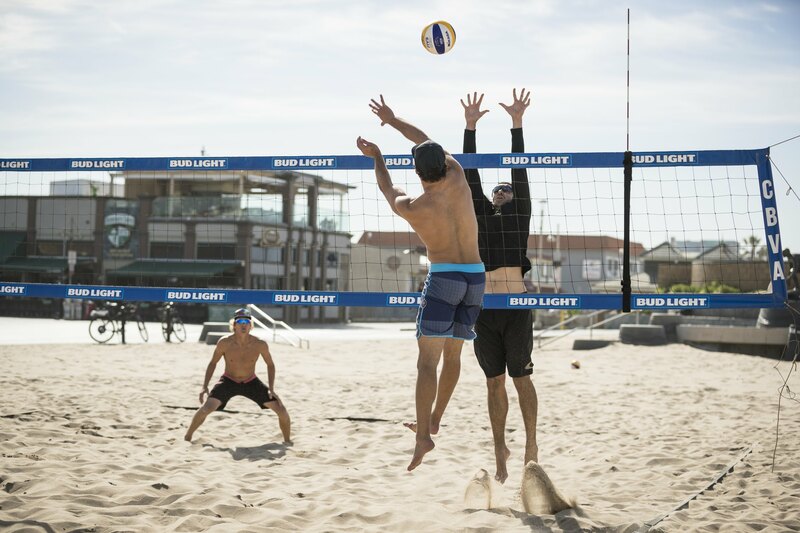 After coaching thousands of beach volleyball players over the years I’ve recently noticed that I’ve been able to put a few pieces of advice on repeat. There are certain types of errors that run absolutely rampant throughout the amateur population. The interesting thing is that the same mistakes are being made from beginners all the way to AAA players. The difference maker between those groups is usually time and repetitions. At VolleyCamp Hermosa we run training camps and lessons for every level. Problem #2: Sloppy, rushed sets and weak approaches. Easy Fix: Pass and dig higher. I find myself saying one word more than any other while coaching on the sand. That word is “LIFT!”. Somewhere along the line of teaching how to control the ball, coaches discovered that it was easier to control a slow moving ball. According to the laws of gravity an object picks up speed the farther it falls. Increase in speed normally leads to a decrease in control, etc., etc., blah, blah, you get it. Players everywhere started falling into the trap of playing low or playing “small ball” in order to increase their perceived control. For the purposes of this article, all discussion of ‘high wind’ situations will be left off the table. This hat won’t help you pass better but at least you’ll look cool. Click here to buy one. So yes, it is easier to control and time a slower moving ball… You can probably set a ball that you toss 6 inches above your head, more accurately than one that gets passed to you and comes down from 20 feet. It’s not so scary, the ball doesn’t bounce as hard. We can essentially place it anywhere at that point. SO WHATS THE PROBLEM WITH PASSING AND SETTING LOW? We have another factor that leads to control. That factor is time. In a perfect world, I pass exactly where I want to and it arrives in your hands softly so that you can place it wherever you want to. There are just a few problems. Small touches may feel comfortable on an individual basis but as far as the entire play is concerned they lead to players rushing their touches. Sorry to burst your bubble but YOU CAN’T PASS PERFECT. The ball won’t go where you want it to every time. When you pass a ball that doesn’t get above the top of the antenna, your partner will not have time to get the balls that go errantly. They will have to rush through their set and at that point the ball is playing them instead of the other way around. The setter becomes a victim. If you consistently put some air under the ball your setter will have the necessary time to set up his/her footwork, squares and rhythm. You can miss your target by 15 feet but because you’ve given them time, your partner will be more capable of delivering you the set you need. Some height gives your team time to breathe. I have this one awful replay in my head. Here’s how it plays out. You come into pass a short ball. You feel your setter right next to you so you pass a ball 2 feet above their head. That way it’s soft and easy to set. BUT, you don’t have time or disciplined footwork so you don’t get off the net to take a full speed approach. Instead, you take a weak two step approach. Some smart, evil, quick, blonde defender knows you can’t hit hard without an approach so he gobbles up that high, slow, weak shot and delivering with a full approach, crushes the ball back at you. So now you’ve lost a free point AND you’ve got a nice WILSON tattooed on your chest to help you remember it. I see this all the time. It happens most on short balls, cut shots and free balls but I see it in serve receive too. This is another disease that runs rampant throughout the amateur community. Somehow it has infiltrated players everywhere. Coaches and athletes sacrifice sound offensive design, full spike approaches and control of the entire play just to control a single individual touch. It’s short sighted. For those ex-indoor players; imagine you passed a free ball and all of your attackers waited 3 feet from the net instead of transitioning off. You would not have a very effective offense and you know that! So why would you kill your offense like that on the beach? A) Allow your setter to control/dictate their path to the ball. B) Give your partner the option to hand set. C) Allow you to gather your feet and get a full speed, full distance approach. Until you train yourself to pass with enough lift to allow for setter adjustments and full approaches, you will never be able to design a proper offense for yourself. Treat the top of the antenna as your ABSOLUTE basement height for every first touch, whether you’re passing a free from the middle of the court or laying out for a cutty. In actuality, you should aim for passes around 15 feet. Get that to be automatic and next blog we can talk about designing a consistent offense. I’ll teach you to be in control of your attack instead of merely playing out of what is given to you. Bonus: Always pass to a height that would allow your setter the option to approach and hit. This will be a big step in opening the diversity of your offense.